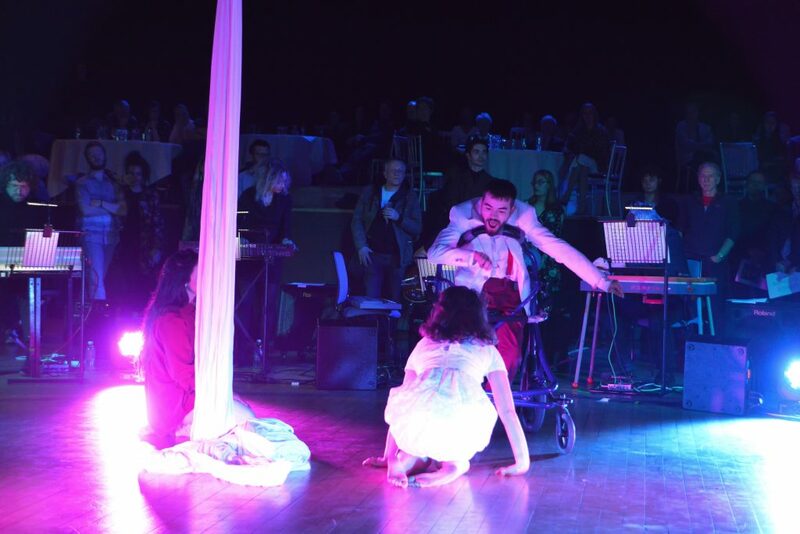 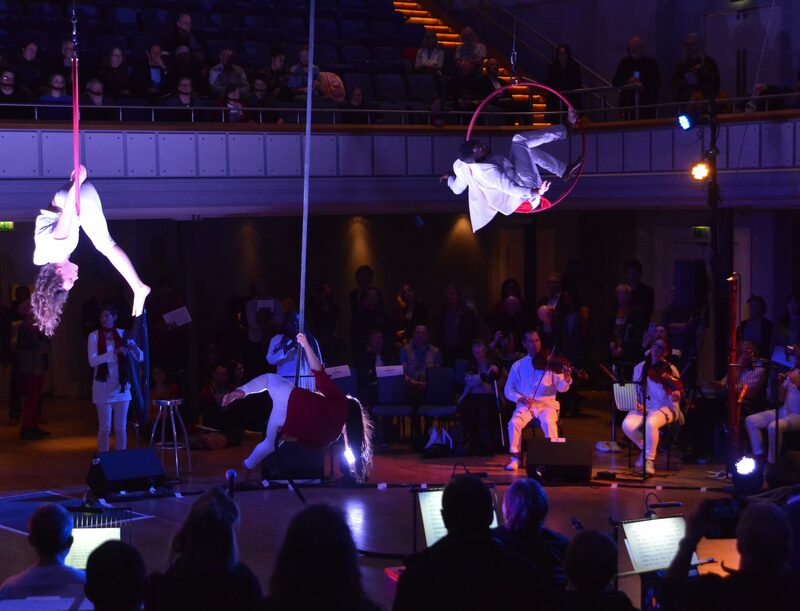 On 27th February Extraordinary Bodies once again joined forces with The British Paraorchestra, to collaborate on a completely unique and mesmerising performance of Terry Riley’s In C, at Birmingham’s Town Hall. 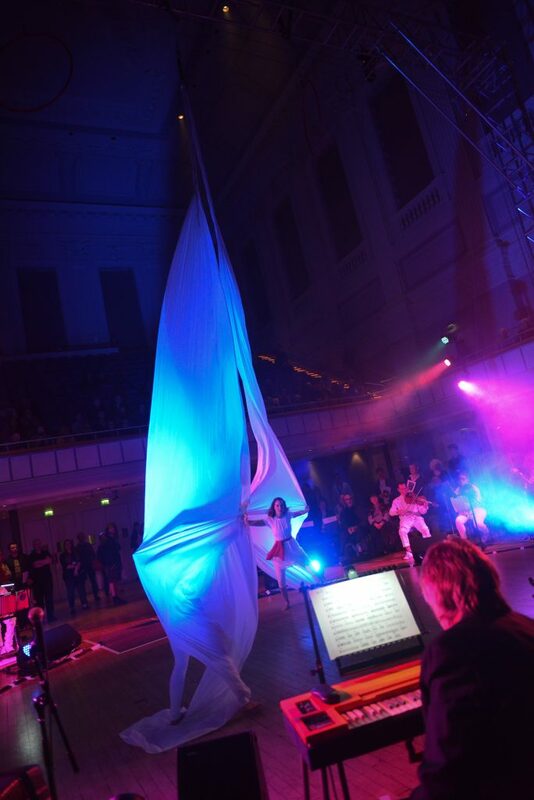 “It was a magical night in Birmingham town hall . 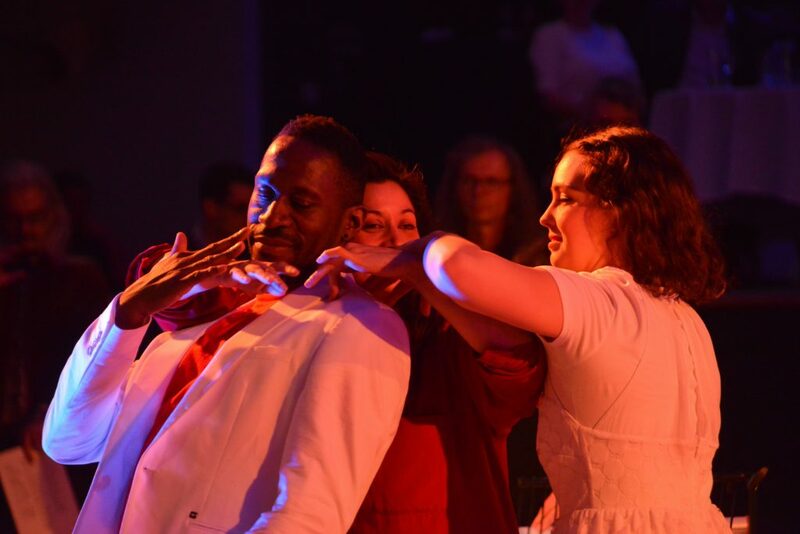 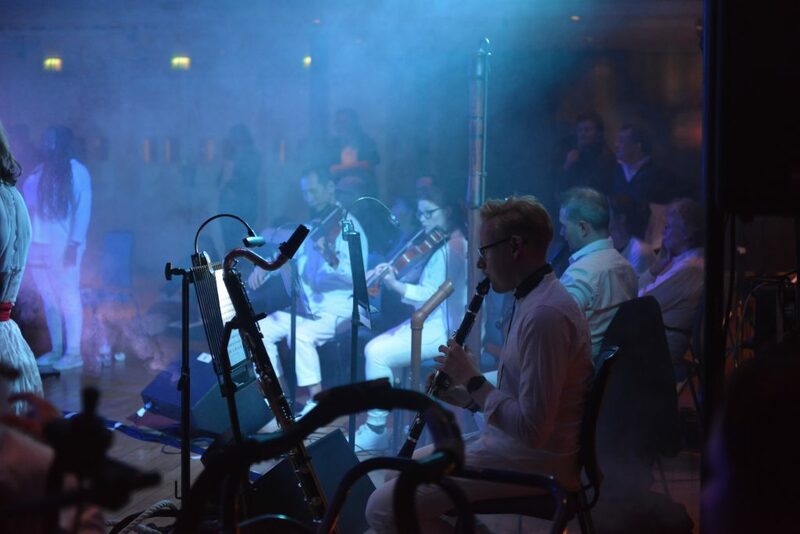 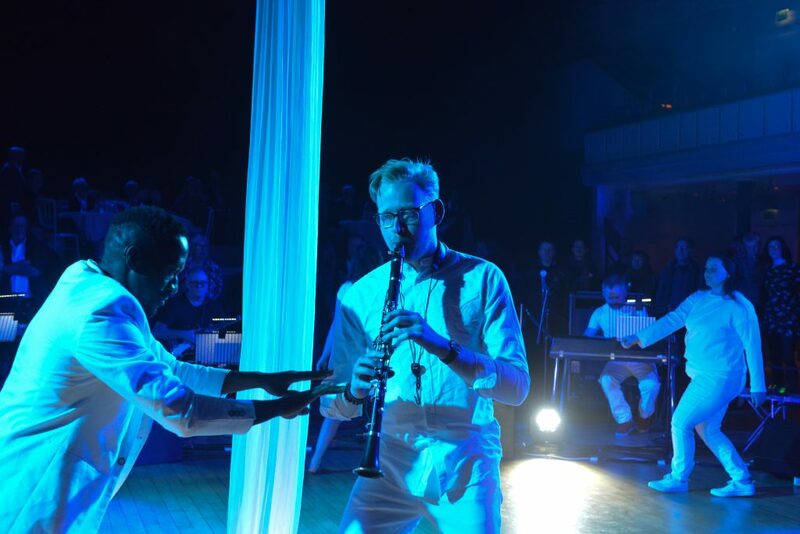 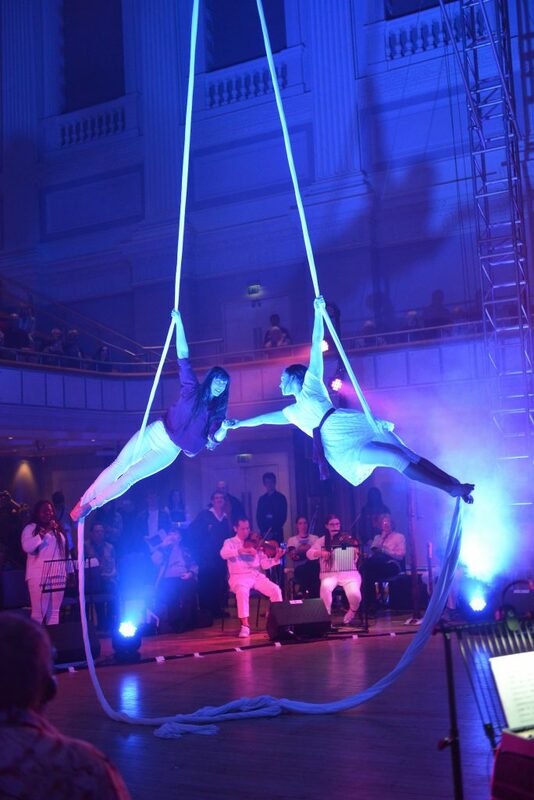 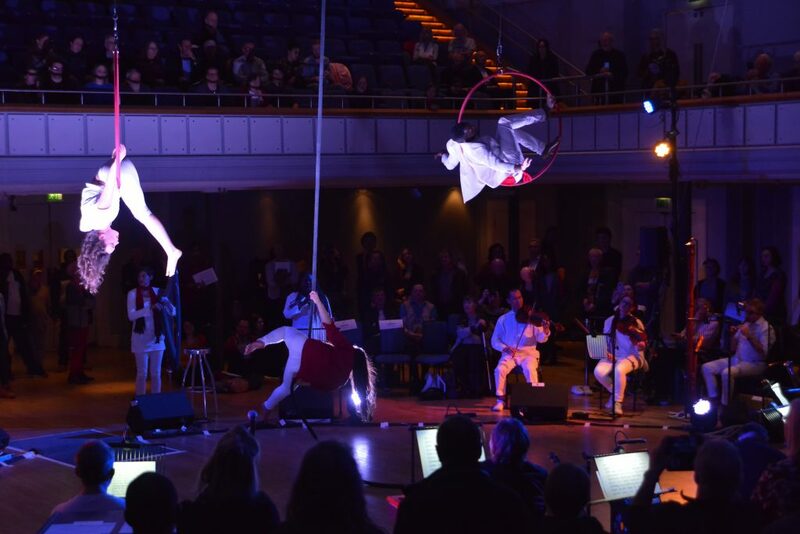 It was fully immersive as the audience was inches from the orchestra and circus performers and could wander around freely choosing how to experience this hypnotic beautiful music . 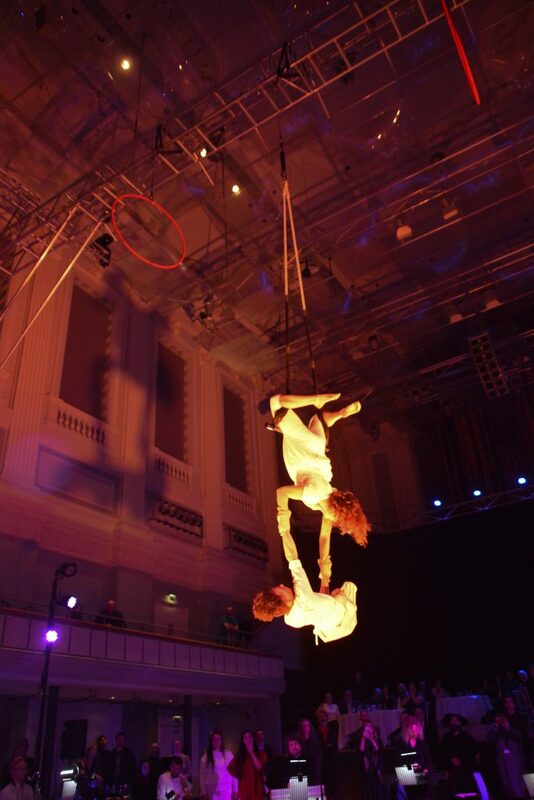 Extraordinary Bodies artists flew above their heads and mingled amongst them. 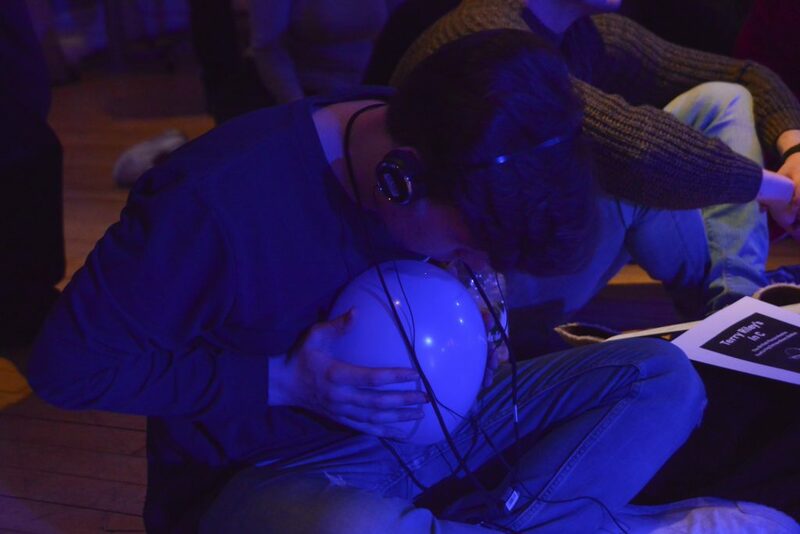 It was a sensory feast and many audience members held balloons to experience the vibrations of the piece and listened to a live audio description through headsets . 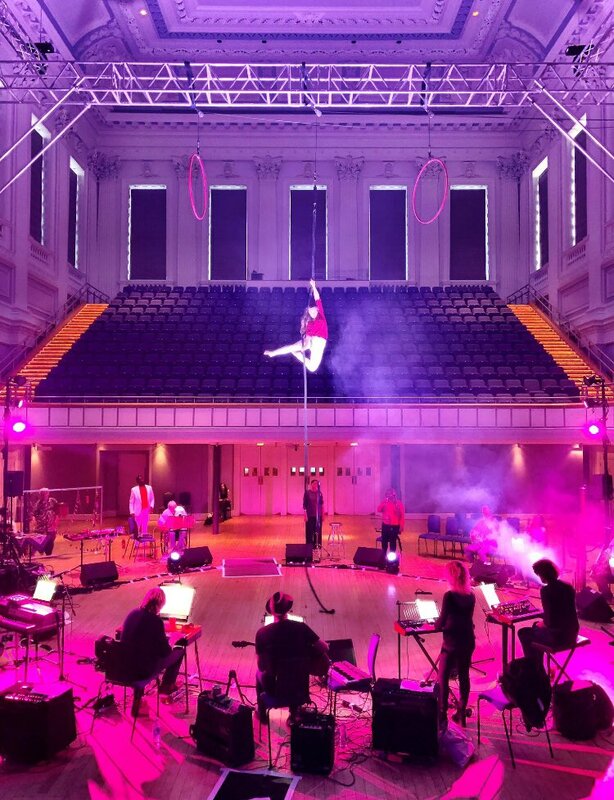 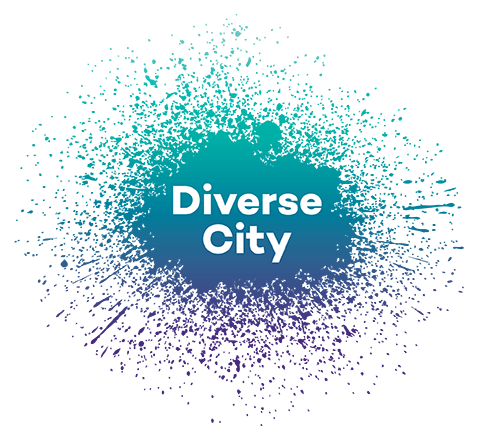 Scroll below to see a series of photographs of the performance, and a Twitter moment, capturing rehearsals, live shots and feedback from the evening.